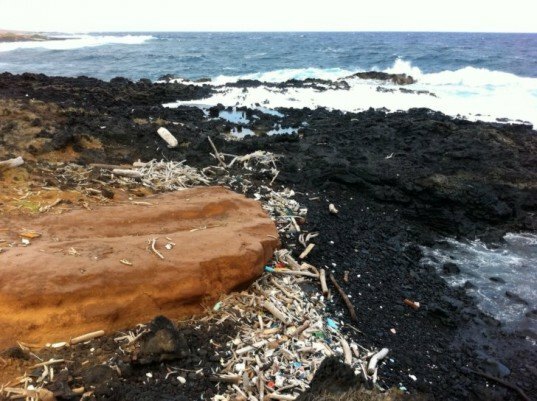 Researchers at San Diego’s Scripps Institution of Oceanography have released a study that claims plastic in the Great Pacific Garbage Patch has increased by 100 times the amount of what was found in the region 40 years ago. Insects at the bottom of food chain are laying eggs in the pieces of small plastic that are ubiquitous in this area the size of Texas. 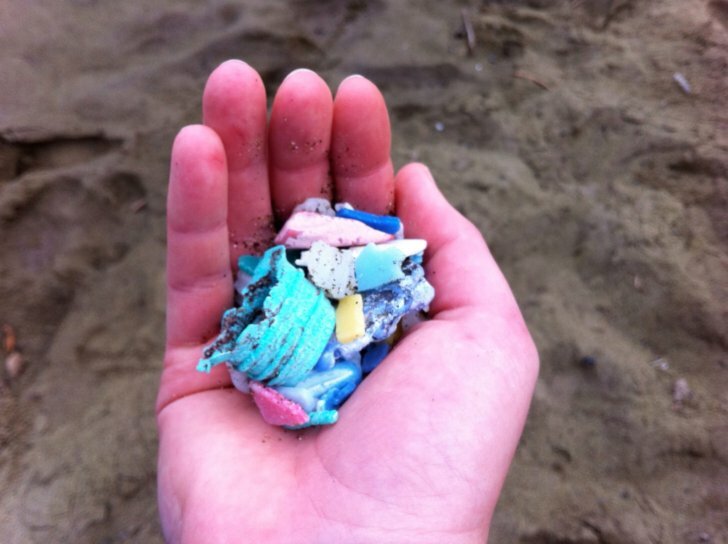 While the Pacific Garbage Patch is commonly perceived to be an endless mess of plastic bottles and trash bobbing up and down in the water, the reality is that thousands of square miles of the ocean’s surface is covered by tiny bits of plastic that have broken down to the size of a human fingernail. Sea skaters, a common insect in this subtropical region of the Pacific, usually lay their eggs on what is naturally found in the Pacific Ocean, including bird feathers, seashells and pumice. But Scripps scientists report that the insect’s larvae has been found on pieces of plastic garbage, and that has led to a sharp rise in that insect’s egg density throughout the Pacific Garbage Patch. Such an increase could have a huge impact on ecosystems throughout the region. The findings of SEAPLEX, the Scripps group of researchers that led the study, is just another chapter in the massive disaster unfolding 1000 miles off the coast of California. SEAPLEX and Scripps had already completed another research project showing that nine percent of 141 varieties of fish that live within the Pacific Garbage Patch had plastic in their stomachs. Meanwhile the amount of trash floating in from last year’s tsunami in Japan will only add to the mounting debris. Despite all the efforts underway to recycle plastic waste found in the ocean, this study is a sobering reminder that consumers, cities and businesses have got to do more to prevent plastic from entering the ocean in the first place. Thanks you for bringing these sad and important news snippets to our attention. They help keep us vigilant to do whatever we can to reduce waste and pollution.